Hello Reader! Like Brad Pitt? Christian Bale? Crime Drama? Steve Carell in another Serous Role? Add it all up and you get this film. Trailer and news below. The Big Short Hosts a big well Know talented cast surrounded int this Crime Drama that feels like it hits the spot. From the Trailer we get a good look at a few cast mates show some acting skills but one thing we don’t get is action. Well there be action? Don’t know but for a pure talented acting viewpoint I’m all in to see this one. How about you? Will you check this one Out, or does this film feels like it might miss the mark for you? 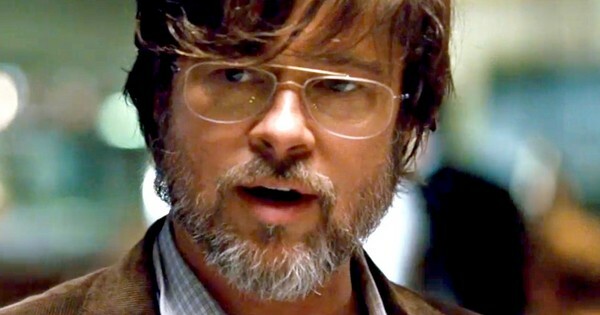 Plot:When four outsiders saw what the big banks, media and government refused to, the global collapse of the economy, they had an idea: The Big Short. Their bold investment leads them into the dark underbelly of modern banking where they must question everyone and everything. Based on the true story and best-selling book by Michael Lewis (“The Blind Side,” “Moneyball”), and directed by Adam Mckay (“Anchorman,” “Step Brothers”) The Big Short stars Christian Bale, Steve Carell, Ryan Gosling and Brad Pitt.